Featured below are 13 documented cases of victimised NHS staff. In some respects, they represent true ‘miscarriages of justice’, since the individuals were let down and failed by standard NHS procedures. In certain instances, doctors and managers appear to have bullied or told lies, and other senior doctors and managers seem to have then ignored or covered up events in order to protect them. Healthcare professionals who suffer humiliation, whether it be at the hands of devious managers or dictatorial doctors/nurses/psychologists, etc, or whether it be at the hands of unsympathetic legal settings and aggressive barristers, can suffer huge distress. This distress has its parallels in the humiliation felt by other professionals in similar settings – e.g. the case of Jacintha Saldanha, the dedicated Indian nurse who was the subject of a hoax phone call in 2012 while she was caring for the Duchess of Cambridge – Jacintha felt humiliated and subsequently committed suicide. Victimised staff and their families are invariably left to suffer for the rest of their lives, while those who caused their grief usually carry on working as normal and suffer no loss, or are even promoted. In a number of cases, individuals have suffered nervous breakdowns or had to cave in and accept a compromise agreement because, unlike their NHS employer, they could not afford the huge legal costs to carry on fighting. NHS employers appear to have access to an unlimited supply of money for legal expenses, and often hire the most expensive and most aggressive legal teams to make sure that they win a case. Those NHS employees who find themselves having to choose a legal route often end up using most of their life’s savings, and even then may not be able to afford to appeal an unfair legal decision. In the interests of patient safety, transparency and accountability, and so that lessons can be learned for the future, names of key individuals have in some cases been listed. In a number of cases, names of key parties have already been in the public domain, such as in writings by individuals such as Graham Pink, Dr Raj Mattu and Dr David Drew, or as published proceedings of employment tribunal hearings. Dr Kim Holt was a senior consultant paediatrician attached to Great Ormond Street Hospital, London who found herself suspended for three years on full pay after raising concerns about issues such as staffing levels in a child care clinic. She and her colleagues raised concerns in 2006, but she claimed that they were ignored by hospital management. In the summer of 2007, physical abuse in the case of a baby, subsequently known as baby P, was reportedly not picked up by a locum consultant, and the baby later died from such abuse. Dr Holt found herself on the wrong side of management. She reportedly was offered £120,000 by Great Ormond Street Hospital to sign an agreement with a gagging clause, but she turned this down. After she was suspended, 234 doctors wrote a letter in April 2010 to the medical journal, The Lancet, asking that she be reinstated, and around 3000 people signed a similar petition to the Department of Health. It was only in 2011 that Dr Holt eventually was able to return to work, but she was obliged to work in another clinical setting, and not one linked to Great Ormond Street Hospital. Dr Holt’s husband was outraged at the way she had been treated. Shortly after her job at Great Ormond Street was advertised in the British Medical Journal, which she only found out by chance without anyone in management telling her, he is reported to have said, “That was the most blatant example of the way Great Ormond Street act. They clearly believe they are completely impregnable and beyond the law, and they intend to carry on exactly as they have always done”. In December 2011, Dr Holt formed a campaigning group, PaitentsFirst, to bring about changes that would provide greater support and protection for whistleblowers. Dr Narinder Kapur, a consultant neuropsychologist was Head of Neuropsychology at Addenbrooke’s Hospital, Cambridge. Both prior to Cambridge (at Southampton General Hospital) and after Cambridge (at University College London, Leeds Teaching Hospitals NHS Trust, Hurstwood Park Neurosciences Centre in Sussex, etc), he had an exemplary record of working relationships with clinical or management colleagues, junior staff and students. He is past-President of the British Neuropsychological Society and a fellow of the British Psychological Society. In 2017, he was awarded a Lifetime Achievement Award by the British Psychological Society. He set up the Neuropsychology International Fellowship scheme, sponsored by both societies, which enables Neuropsychologists from developing countries to visit the UK. He is currently visiting Professor of Neuropsychology at University College London, and honorary consultant Neuropsychologist at Imperial College Healthcare NHS Trust. Dr Kapur had won awards for the clinical excellence of his work at Addenbrooke’s hospital, part of Cambridge University Hospitals NHS Foundation Trust, and had published an award-winning paper entitled, On the Pursuit of Clinical Excellence. He had edited an award-winning book, The Paradoxical Brain. 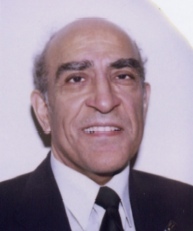 He had published papers on patient safety and on clinical ethics. He wrote an article on the lessons to be learned from the Francis Report into Mid-Staffordshire Hospital, and this article was published in The Psychologist, the professional journal of the British Psychological Society (Article). He has written papers on the application of Gandhian principles in healthcare (HSJ Gandhi article, BMJ Gandhi article), and has put these into practice by setting up Gandhi scholarship schemes and Gandhi book fairs (Supporting Neuropsychology in India). He had won a prize in Addenbrooke’s own Staff Suggestions Scheme, a prize he donated to Addenbrooke’s overseas charity. Even the Trust acknowledged that his clinical performance was, in its own words, ‘exemplary’, and that he had shown great generosity to patients and to staff. He had received scores of letters of appreciation and support from colleagues and from patients, including a heartfelt letter of support from his junior staff (Letter). While at work, on 13 separate occasions over a space of seven years, Dr Kapur had repeatedly complained about the use of unqualified staff in neurosciences clinics that he argued was endangering patient care and about staff shortages which he constantly had to face during his seven years at Addenbrooke’s, and which he also felt were endangering patient care. An internal report commissioned by the Trust later found Dr Kapur’s concerns about the use of unqualified staff to be justified, and recommended that this practice be stopped, which eventually happened, but only after a number of years. In its 2013 Remedy Hearing judgment, the Employment Tribunal noted that the unqualified staff member in question ‘was now being supervised in line with the recommendations of the internal inquiry that had agreed with Dr Kapur’s professional stance on the matter’. Expert advice that supported some of Dr Kapur’s concerns was covered up and kept secret from him by NHS managers, and was also not revealed by the then Divisional Director Professor John Pickard to the panel at his dismissal and appeal hearings. The Trust dismissing officer, Richard Howe, later indicated in court that he should have been told of this advice at the time. While Dr Kapur was away in Ireland in July 2005 giving a paper at a conference, the neurosciences manager, Mrs Kathy Haynes, who was directly accountable to Professor Pickard, searched his office and hacked his computer, without Dr Kapur’s knowledge or consent. Professor Pickard later claimed he knew nothing about this violation when it happened. This action, which may have been illegal, was covered up and kept secret for over six years, when it only came to light in documents required to be released for an employment tribunal hearing. The tribunal viewed this action by Addenbrooke’s managers as ‘entirely contemptible’. From the very early stages other attempts were made to discredit Dr Kapur. In 2005, the then divisional director Professor John Pickard tried to get Dr Kapur to admit that he had a mental illness and should seek assessment by Occupational Health. The then neurosciences manager, Mrs Kathy Haynes, the person who searched Dr Kapur’s office and hacked his computer, tried to suggest that Dr Kapur suffered from Asperger’s Syndrome. Dr Kapur considered these insinuations to be malicious, and to be both hurtful and distressing. 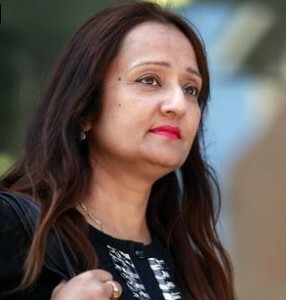 A junior psychologist who worked in Dr Kapur’s department, Dr Annette Farrant, who had previously worked as a professional actress, made what turned out to be false and malicious allegations about Dr Kapur to the then clinical services director, Professor John Pickard, who appeared to be gullible enough to swallow whole what she fabircated. Dr Farrant never put her allegations in writing, and she was not called by the Trust to present her complaints to any of the Trust hearings or employment tribunal hearing. Around the same time, a nurse who worked in the Neurosciences Unit at Addenbrooke’s, Mrs Elisabeth Hutchinson, also made what turned out to be false and malicious allegations about Dr Kapur. She put them in writing, but was effectively forced to withdraw them when the Trust told her it would not pursue her allegations. She was never obliged by the Trust to apologise for her hurtful remarks. The absence of these key witnesses at the employment tribunal hearing is all the more extraordinary as Professor Pickard and his management colleagues relied so heavily on them for their criticisms of Dr Kapur. At the employment tribunal, Professor Pickard also lied when he told the court that he had invited Dr Kapur around to his home. When, in his various statements, he claimed that he could not remember key events, this seemed implausible and also raised the question of his truthfulness. Dr Kapur felt that he was bullied or excluded after he repeatedly raised concerns, and also felt that lies were told or the truth was distorted in order to cover up for this bullying. On one particularly distressful occasion where Dr Kapur felt he was being bullied by the divisional director Professor John Pickard, who shouted and screamed at him, the other witness present – Mrs Kathy Haynes – thought Professor Pickard was so out of control that he was going to have a heart attack. At the employment tribunal hearing, one of Professor Pickard’s former colleagues in Southampton, a senior consultant neurologist (Dr Lee Illis) recounted an almost identical episode that happened to him at the hands of Professor Pickard when Professor Pickard worked in Southampton. Another former colleague in Southampton, the late Mr Jason Brice, who in fact was a key person in the panel who appointed Professor Pickard to his post there, recounted how when Mr Brice pointed out to Professor Pickard that his infection rates after surgery were higher than those of other neurosurgeons, Professor Pickard became very irate at being told this. 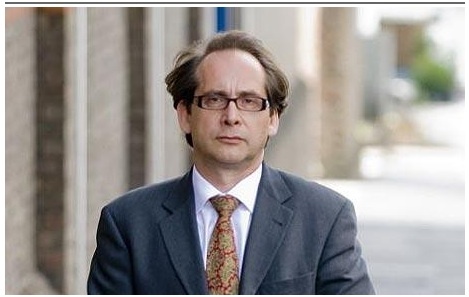 Professor Pickard reportedly also tried to bully senior colleagues in his Cambridge research team, and one of the senior members of his research team – Professor Adrian Owen – told Dr Kapur that he thought Professor Pickard was ‘an evil, evil man’. When Dr Kapur first raised concerns about John Pickard to the Head of Neurosciences, Professor Alastair Compston, the latter said, ‘You are not the first person to raise concerns about him‘. A consultant stroke physician at Addenbrooke’s, Dr Elizabeth Warburton, also indicated to Dr Kapur that on occasions she felt under inappropriate pressure by some of Professor Pickard’s behaviour. On another occasion, a junior female research assistant felt distressed after being rebuked on the phone by Professor Pickard. In some people’s eyes, Professor Pickard was a ‘serial bully’ who was able to use his power and influence to get away with unacceptable behaviours. The fact that, after considering elements of Dr Kapur’s concerns, including those of bullying, an Independent Mediator awarded Dr Kapur £20,000 and also his full legal costs, confirms that he was fully justified in considering he had been very badly treated. Although one of the Addenbrooke’s managers, Kathy Haynes, was obliged by the then Operations Director, Richard Sunley to apologise to Dr Kapur, when Mr Sunley met up with Professor Pickard in person and asked him to also apologise to Dr Kapur, Professor Pickard reportedly got angry, and in a threatening manner insisted to Mr Sunley that he would never ever apologise to Dr Kapur. The Trust repeatedly declined to follow line management guidelines from Dr Kapur’s professional body, The British Psychological Society, and ignored the advice of its own commissioned review that called for a ‘radical overhaul’ of management. This lack of respect was also evident at both his dismissal and appeal hearings, where no-one independent of the Trust was on either panel, and where senior management refused to have on the panel experts in Dr Kapur’s field, Neuropsychology, with the then medical director and appeal hearing chair Dr Ahluwalia claiming such expert peer input was “not necessary”, even though this is standard practice for medical consultants, for bodies such as the General Medical Council and the Health Care Professions Council, and always occurs for consultant appointment panels. Where patient safety concerns are raised, it is also common practice to have an external ‘college review’, with experts brought in from a relevant professional body, but no attempt was made to carry out such a measure in respect of Dr Kapur’s genuine patient safety concerns. Pleas for independent, external advice and input were repeatedly ignored or belittled. The dismissal panel in Dr Kapur’s case consisted of one person, RIchard Howe, along with a note-taker from human resources. Richard Howe was an engineer who had no clinical qualifications and had never run a clinical service in his life. Mr Howe insisted that attending management meetings was more important than engaging in clinical activities related to patient care, and criticised Dr Kapur for arguing otherwise. At the end of the dismissal hearing, which Mr Howe later claimed was fair and at which he had not yet made up his mind, he winked at the union official who was present as if to indicate the likely outcome and presumably thus to do some sort of deal which would involve Dr Kapur resigning, signing a compromise agreement and accepting what would in effect have amounted to a ‘bribe’ to stay quiet. The Employment Tribunal ruled that aspects of the hearings resembled ‘a show trial’, gave ‘a pronounced advantage to management side witnesses’, and produced evidence that was ‘forensically meaningless’. It also ruled that in not properly exploring alternatives to dismissal Addenbrooke’s did ‘not conduct itself as a reasonable employer’. In his 2015 inquiry into Whistleblowing in the NHS, Sir Robert Francis heard that some disciplinary hearings are little more than one-sided kangaroo courts: “Repeatedly we hear of unaccountable managers protecting themselves and undertaking biased investigations, character assassination, lengthy suspensions, disciplinary hearings which resemble kangaroo courts, and ultimately dismissal of staff who previously had exemplary work records . . .” This closely mirrors what Dr Kapur suffered. After he was dismissed, Addenbrooke’s managers such as Kathy Haynes set about ‘digging for dirt’ and tried to find evidence of financial impropriety, attempts that failed and in fact brought to light Dr Kapur’s generosity and willingness to put the needs of his NHS Department before personal gain during his period at Addenbrooke’s. This action by Addenbrooke’s to raise allegations of fraud was ‘condemned unreservedly’ by the tribunal, and termed ‘a most unsavoury incident’. The Trust also contrived allegations of bullying, which Dr Kapur found particularly distressing, as he had gone out of his way to ensure excellent working relationships with junior staff and senior colleagues alike. Dr Kapur considered such allegations from Addenbrooke’s management to be wholly false and seriously defamatory. In another unsavoury incident, Richard Howe was directly observed by Dr Kapur to have been in uncontrollable, hysterical giggles in the gents’ toilets at Addenbrooke’s shortly after hearing remarks from one of Dr Kapur’s witnesses at his appeal hearing, Dr Lee Illis, who compared some of Addenbrooke’s management procedures to those used in Stalinist Russia. When Dr Kapur decided to take the case to an employment tribunal, Addenbrooke’s offered £70,000 for him to drop his legal case, and Dr Kapur was also made aware of the legal threat of major costs being awarded against him if he pursued with the employment tribunal hearing. Dr Kapur regarded these as approaches as bribes and threats, and an attempt to avoid accountability in the public domain, and refused to give in to the demands. As a result of his dismissal, Dr Kapur and his family have suffered major distress and hardship. As well as losing out on over four years’ salary, he incurred around £250,000 in legal and related expenses, with an overall schedule of loss amounting to over £1million, and he had to sell his home in Southampton, ‘downsize’ and move to London. The Trust itself has spent around £300,000 of public funds and taxpayers’ money in fighting this case. All of this expenditure could have been avoided if professional guidelines and expert advice had been followed by those in management. ‘I drew inspiration from Gandhian principles and from others who had suffered hardship and been through terrible ordeals, and one of those was Dr Karen Woo, a UCL-trained doctor who was killed by terrorists in Afghanistan in 2010 while providing medical care to the poor and needy. As a thanks for the inspiration I gained from her example, in May 2013 I made a £3000 donation to the Foundation set up by her mother, Lynn Woo‘ (Karen Woo Donation). I also drew inspiration from three others who sacrificed their lives as part of their journey to make the world a better place, Shabaz Bhatti, Ursula Schmitz and Maria Gorrostieta (Shabaz Bhatti, Ursula Schmitz, Maria Gorrostieta). In my clinical practice and clinical research, I have also come across inspiring case stories, stories which helped to keep me resilient in the face of distress and suffering. One story that has particularly moved me, and helped me see my own predicament in context, is that described by Dr Ian Carr when his daughter fell ill (Dr Carr article). Prior to a Remedy Hearing in April 2013, Dr Kapur was threatened by Addenbrooke’s lawyers with over £100,000 in Costs if he did not agree to an out-of-court settlement. Dr Kapur regarded this as a form of bullying, and ignored the threat. At the Remedy Hearing, Dr Kapur offered to drop the case and reach an out-of-court settlement if Addenbrooke’s introduced fairer disciplinary procedures, namely Plurality (more than one member on a panel), Independence and Expertise, but Addenbrooke’s rejected this offer. Addenbrooke’s indicated that they had no intention of filling his post, effectively abolishing it. This was seen by Dr Kapur and others as a ploy to make it difficult for the judge to recommend his reinstatement. Both Dr Kapur and eminent colleagues in the field of Neuropsychology issued a letter of concern that such a decision would be detrimental to patient care, to the needs of staff, to teaching & research, and to the reputation of Addenbrooke’s (Letter of Concern). This further instance of disregard for professional standards and refusal to listen to expert professional advice parallels similar behaviour by the Trust when Dr Kapur raised concerns about patient safety during his employment, and provides further justification for his case that he was treated badly as a whistleblower. Even though Dr Kapur did not consider the criticisms of him to be justified, he offered to go back to his previous job on a probationary basis, but this offer was flatly refused by Addenbrooke’s. 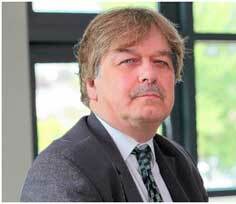 John Watkinson was a 54 year-old chief executive of the Royal Cornwall Hospital NHS Trust. He was dismissed in 2009 following whistleblowing concerns relating to the care of patients with gastro-intestinal cancer. He won his case for unfair dismissal at an employment tribunal hearing in 2010. Secretary of State for Health at the time, Andrew Lansley, ordered a high-level investigation into why he was sacked for whistleblowing. The Trust who sacked him appealed against the award of damages, and lost that appeal. The employment tribunal judgment was reported as remarking that the NHS dismissal process that he went through ‘flew in the face of any concept of fairness’, and that in addition the subsequent NHS appeal process ‘was a travesty of anything approaching basic concepts of fairness’. Mr Watkinson incurred legal fees of around £200,000. He found himself unemployed at the age of 54 years, with his house up for sale. He is reported to have commented – “I would much rather be in work, but they have damaged my reputation so badly that I’ve not been able to get another job. The public have a right to know how much money has been spent on kicking me out of the NHS unfairly. This wasn’t the way I should have gone out of the NHS. I wasn’t expecting a band, but I wasn’t going to accept being booted out like this, not after 34 years, with a good record in tough places. Yes I won, but it has cost me a lot of money and it’s a terrible way for it to end’. 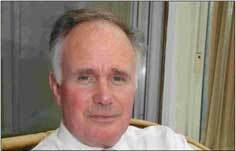 Dr Norman Milligan was a 59 year-old consultant neurologist who worked at Poole General Hospital. 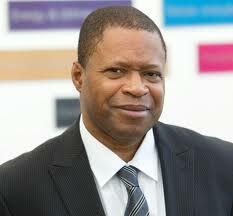 He was judged by an employment tribunal in May 2012 to have been unfairly dismissed. When at work, he had to take time off work due to mental health issues that he suffered after watching a relative die in intensive care. He was presented by his employer with two options – take early retirement or be dismissed for inability to carry on his job. He was dismissed in January 2011, and his appeal was chaired a few months later by the medical director at the hospital. The tribunal is reported to have criticised both the medical director and the speciality manager who gave evidence. Dr Milligan is reported to have reached a financial settlement with his former employer, but he is not allowed to disclose the terms of the settlement. Dr Eva Michalak, a 53 year-old consultant obstetrician of Polish origin, suffered five years of false allegations and harassment from senior doctors as a reaction to having to cover for maternity leave that she took while she worked at Pontefract General Hospital, part of Mid Yorkshire Hospitals NHS Trust. In December 2011, an employment tribunal ordered hospital chiefs to pay her around £4.5 million in compensation for her ill-treatment and for loss of future earnings. In a damning judgment, the Leeds tribunal said it had been “outraged” at the way senior staff in the Trust had behaved. Dr Michalak is reported to have commented, “It has been a living hell. I suffered years of psychological abuse. They hounded me out because I had a baby. They destroyed my life, my health and my career. Their dishonesty was staggering. It was frightening and sinister how these people could abuse their positions and harass and bully me”. Eliot Browne was a 55-year old manager who was dismissed in 2008 by Central Manchester University NHS Foundation Trust. He was deemed by an employment tribunal to have suffered racial discrimination at the hands of his employer, and received an award of almost £1 million in damages. The Trust apparently never apologized to Mr Browne, and appealed against the tribunal decision. It subsequently lost the appeal. It was reported at the tribunal that witnesses for the Trust closed ranks and that disciplinary action was commenced against Mr Browne to secure his removal from office. A union official commented, “The systematic intimidation and bullying of a single individual, the like of which I have never seen in my career as a regional union officer, was breathtaking and callous”. Mr Browne is reported to have stated, “It is scandalous that this kind of behavior should exist in an organization whose prime purpose is to care for others”. Ms Sharmila Chowdhury was a 51 year-old radiology manager who had an unblemished 27-year career in the NHS. She was sacked by Ealing Hospital, London after she raised concerns about senior doctors who, she claimed, were moonlighting at a private hospital while they were meant to be seeing NHS patients. A tribunal judge took the unusual step of asking that her employer reinstate her on full salary. However, her employer decided to make her redundant and give her a severance package rather than re-employ her. She found that she had to face counter-allegations of fraud which were made against her by a junior member of staff whom she had reported for a breach of patient safety. These allegations were subsequently shown to be unfounded. As reported in the Independent on Sunday, a tearful Ms Chowdhury, who is a widow with a teenage son, expressed her relief at the tribunal decision. She had endured financial hardship as a result of her dismissal, and had to move back in with her elderly parents. She had also to rely on the good will of lawyers – Julie Morris, solicitor at Russell Jones and Walker, London had agreed to take on her case for free. Ms Chowdhury is reported as saying, “I cannot believe what has happened to me. I was horrified and humiliated when escorted out of the building, and for a whole month I had no idea why I was suspended. I was just doing my job. I’m trying to stay positive, but I loved my work, my department, and there are not many jobs out there”. Ms Chowdhury’s barristers, Helen Mountfield QC and James Laddle from Matrix Chambers, are reported as suggesting that the case showed ‘the long-established tradition in the NHS of power wielded by consultants’. Dr Ramon Niekrash was a 50 year-old consultant urologist who found himself suspended after speaking out against cost-cutting at Queen Elizabeth Hospital in Woolwich, South London, a place where he had worked for around ten years. A tribunal ruled that he had been unfairly treated and was entitled to damages because he had been acting as a whistleblower in the public interest. It is reported that at one point during his dispute at work, a senior doctor at the hospital allegedly stated that she wished that Mr Niekrash, who had trained in Australia, was ‘in chains on a plane in Heathrow back to Australia’. The employment tribunal judge is reported as noting, “We have no doubt that the exclusion of a consultant, being a rare occurrence, must have an adverse impact on the claimant’s reputation”. Speaking to The Independent newspaper, Dr Niekrash is reported as warning that health professionals need think ‘very hard’ before raising concerns about poor patient care, because it is ‘potential professional suicide’. ‘Your employer won’t thank you; the law won’t protect you. You’re on your own’. He was suspended from work by the medical director and head of human resources. He was apparently only reinstated after senior doctors threatened a vote of no confidence in the Trust. Dr Niekrash is reported to have commented, “There was a conspiracy to get rid of me. It was as rotten as could be, right to the top. It was so wrong that I had to vindicate myself and take huge costs on the chin. Obviously lots of people, people with kids, porters, nurses, couldn’t do that. If you think what happened in the Mid Staffordshire Trust is unique, you’ve got to be joking: it just got caught. There are lots of Trusts out there with dirty laundry but people are too afraid to speak out. Who wants to be a whistleblower, a troublemaker? Do I have faith in the NHS? No. Do I believe this will happen to other individuals? Yes. Do I believe there is any accountability for managers? No. It’s been too late for me, but whoever is in government must change the law so whistleblowers are protected’. Andrew Lansley, until recently Secretary of State for Health, was shadow health spokesman at the time when Dr Niekrash’s case became public, and was reported to have promised, “I am determined to fight this closed culture in the NHS”. Dr Antoinette Geoghegan worked as a consultant child psychiatrist in an NHS Trust in the north of England. She complained about unsafe practices and short staffing in her workplace that left an abused teenager at risk. She complained that she felt ‘overwhelmed’ and that arrangements at work were ‘a recipe for an unsafe service’. 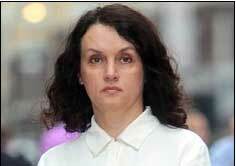 She took her case for unfair treatment to an employment tribunal, who ruled in her favour in October 2012. She was referred by her employer to the National Clinical Assessment Service as a result of concerns over her performance. She is reported as saying, ‘This was a further blow to my confidence and sense of safety at work’. In what the tribunal saw as a ‘remarkable about-face’, the referral to the National Clinical Assessment Service was withdrawn after Dr Geoghegan sent a six-page letter to the organization about her case. The tribunal ruled that her employer, Northumberland, Tyne and Wear NHS Foundation Trust, had singled out Dr Geoghegan for ‘oppressive and unfair criticism’ and that she was subject to a ‘continued course of discriminatory and less favourable treatment’. The tribunal also ruled that there was ‘a clear causal connection’ between the consultant psychiatrist blowing the whistle and her unfair treatment. Dr Geoghegan described her experience working for her employer as ‘totally demoralising’, but hopes to return to her position. The judge made a number of stinging criticisms of those in management in the NHS Trust where Dr Geoghegan worked. He noted that the medical director was ‘far from impartial’ during his evidence, displayed ‘an alarming lack of sensitivity’ and was ‘completely out of his depth in dealing with personnel matters’. The judge also considered that the medical director’s evidence was ‘tainted by his desire to protect those managers subordinate to him and the way in which they dealt with the claimant’. The judge noted that one of the consultants who supported management was ‘authoritarian and domineering’, and that Dr Geoghegan’s line manager was ‘less than candid’ with the tribunal. The judge criticised the Trust for not following proper procedures, and that it had failed in its duty of care to her. The amount of compensation Dr Geoghegan will receive has yet to be decided. Her employer is reported to have commented, ‘We are now considering the judgment to understand what lessons we can learn and ensure that, as her employer, we fulfill our duty of care to Dr Geoghegan’. 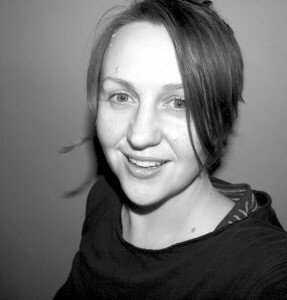 Ms Debbie McCoy worked as Senior Art Psychotherapist for Northumberland, Tyne & Wear NHS Trust in northern England. In November 2010, Newcastle Employment Tribunal ruled that she had been unfairly dismissed from her post, and also ruled that she had suffered discrimination as a result of her disability (dyslexia). The Tribunal found her Trust accountable for 22 breaches of contract. Ms McCoy had established Introductory Training in Art Psychotherapy in Newcastle in partnership with The British Association of Art Therapists. She advocated psychotherapeutic work for people with learning disabilities and routinely received positive feedback from patients, carers, colleagues and those within the profession. Ms McCoy found herself in a position where she felt herself subject to bullying, harassment and discrimination from her line manager, and considered that she had no other option but to resign from her substantive clinical post in the summer of 2010. In its judgment of the conduct of Ms McCoy’s manager ‘the Tribunal detected signs of aggression even in the way the witness gave his evidence’. The Tribunal also noted that it was ‘not impressed either by the content of the evidence from this witness or the manner in which that evidence was given’. Ms McCoy had made numerous requests to be line managed by a different line manager throughout the period of the grievance investigation. These requests were ignored for many months. The Tribunal noted ‘this lack of appreciation by the respondent of the effect contact with [line manager] was having on the claimant (for whatever reason)…..the request for a change of line manager was reasonable and one the respondent had acceded to but only after a delay of three months during which the claimant had to continue contact with her manager. The failure to appreciate that fact, and to see that the whole process was impacting on the claimant’s health, contributed to the claimant’s loss of trust and confidence’. The Tribunal found that the service manager’s investigation of the grievance and his outcome letter to Ms McCoy ‘was inadequate and represented a lamentable failure to carry out his duties properly…..The failure to address what was an essential issue in that grievance, namely the claimant’s status as a sufferer from dyslexia and her request for reasonable adjustments is startling and contributed considerably to the breakdown of the claimant’s trust and confidence in her employer. The fact the outcome letter does not refer to that second part of the grievance is unreasonable in itself but the fact that the allegations of bullying, harassment and discrimination are dismissed without any attempt at explanation of the thinking behind that decision is lamentable’. The Tribunal found that Ms McCoy’s line manager ‘did conduct himself in a way which amounted to harassment of the claimant pursuant to the definition contained in the respondent’s Dignity and Respect at Work Policy’. The Tribunal found ‘whatever the cause, the attitude of her line manager was not one expected of a professionally qualified manager towards another professionally qualified person. The fact that the claimant needed an impartial observer at their meetings with her line manager from January 2009 onwards is indicative of the relationship and the Tribunal decides that this breakdown occurred by reason of the conduct towards the claimant’. Ms McCoy was awarded £60,000 compensation relating to disability discrimination. The Tribunal were unable to award a further sum of compensation (£59,000) but indicated that Ms McCoy could file a claim in the county court to reclaim this money. By 2012, Ms McCoy had spent tens of thousands of pounds on legal representation. She needed help with repayment of her debts and had to spend around £5,000 on private psychotherapy costs. She had to employ another law firm in 2012 to follow up the claim for the remaining £59,000 compensation. Having no further funds to recover this money and having serious concerns about her health should another court case go ahead, Ms McCoy had little choice but to accept the £10,000 settlement offered by her Trust. Ms McCoy’s mental and physical health continued to decline as a result of the aftermath of the lengthy grievance procedure, and of being subjected to a rigorous 8.5 hour cross examination in the Tribunal with repeated suggestion from the Trust solicitor that she was lying, that she was not dyslexic and that her NHS Trust did not know she was dyslexic. Ms McCoy’s health was badly affected by the legal battle, being without a job and regular income, losing a career that she loved, and loss of relationships and contacts with colleagues. Ms McCoy has barely left her house in the two years since her Tribunal hearing. She continues to suffer from severe anxiety, panic, hyperventilation and agoraphobia and is a long way off working again in any capacity. As a result of being out of work and suffering ill-health for so long, Ms McCoy was obliged to give up her career in Art Psychotherapy, her registration with the UK Health Professions Council and her registration with The British Association of Art Therapists. 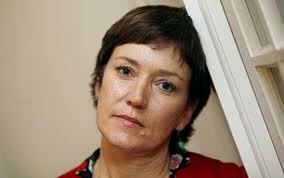 Ms McCoy has never received an apology from her Trust employer nor was she able to recover any of her legal expenses. Her NHS Trust paid for legal services from a major Newcastle law firm, expenses which could well have been over £100,000. Mr Bakhsh, a 51 year-old nurse of Muslim extraction, was employed at Northumberland, Tyne and Wear NHS Foundation Trust in northern England. He had worked as a psychiatric nurse for around 20 years, apparently with an unblemished record. He was suspended in 2006 and sacked in 2008 on the basis of what were reported as trumped-up, anonymous allegations of bullying. In 2010, he won an employment tribunal case for unfair dismissal, and was awarded £110,000. Mr Bakhsh is noted as saying, ‘I was victimized because I wanted to see an end to low pay and the bullying culture staff had to endure. I was driven out of my job because I was a thorn in the bosses’ side’. In respect of the employment tribunal hearing, the tribunal reportedly ruled that management witnesses were ‘not credible’ and ‘biased’. The Trust refused to implement the request of the tribunal to reinstate Mr Bakhsh, something the judge described as ‘utterly reprehensible’. Mr Bakhsh commented, ‘Trust bosses wasted huge amounts of NHS money on sacking me – money that should have been spent on patient care….I loved my job and I want it back. But the Trust seems to be prepared to spend whatever it takes of public money to keep me out of a job I am perfectly good at’. Mr Bakhsh successfully applied for leave to have a judicial review of the refusal by the Trust to comply with a re-engagement order. Just before such a hearing was due to start, he reached an out-of-court settlement of £200,000. The six-year scandal is reported to have cost the Trust more than £750,000. Gateshead MP Ian Means has asked the chair of the House of Commons public accounts committee, Margaret Hodge, to look into the ‘waste of taxpayers’ money’. Dr Madan Samuel, a senior and highly respected consultant paediatric oncology surgeon of Indian origin at Addenbrooke’s Hospital, Cambridge started working there in 2004. He was admired by his patients, his surgical colleagues and his anaesthetic colleagues. He had scores of letters of appreciation from patients. Around 2008, he raised concerns about being subject to racial abuse while working at Addenbrooke’s (Cambridge University Hospitals NHS Foundation Trust) and about patient care. He raised a grievance procedure that included concerns about racial discrimination, but these concerns were dismissed by the Trust. A few weeks later, he found himself excluded from work in respect of a lapse in procedures he used during ‘tongue tie’ operations (‘tongue tie’ is a small mucosal fold under the tongue). No harm whatsoever came to patients as the result of the procedures he used. Dr Samuel is reported as admitting to his lapse at the first opportunity, and also making every effort possible to take appropriate action to put matters right. He had an unblemished career prior to this episode. The General Medical Council accepted that he was regarded by his colleagues as being ‘extremely diligent, hard-working and a conscientious doctor who put patients first’. His exclusion from work was reported in the local media, and this naturally caused him distress and harmed his reputation. Dr Samuel considers that the leak to the media was initiated by the Trust. The General Medical Council, through its Interim Order Panel, allowed him to continue to work as a consultant surgeon. He readily agreed to a request by the General Medical Council to be mentored by a Microbiology Consultant and to take a certificate course in Microbiology. In spite of this supportive decision by the General Medical Council, he was dismissed by Cambridge University Hospitals NHS Foundation Trust in August 2009. A month after his dismissal, around 40 consultants held a meeting at Addenbrooke’s Hospital to voice their concerns about his dismissal. At a full hearing in February 2011, the General Medical Council, while finding that he did make one mistake at work, did not even consider it necessary to give him a warning and declared him as fit to practise. Even though he was cleared by the General Medical Council, Addenbrooke’s refused to reinstate him. Dr Samuel has had glowing references from hospitals where he has worked since his dismissal. 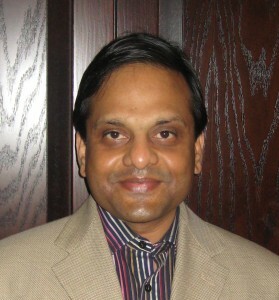 Dr Patrick Bose, a senior and highly respected consultant in obstetrics and gynaecology, and of Indian origin, was dismissed from his work at Addenbrooke’s Hospital for alleged ‘gross misconduct’ following re-use of a Sims Speculum during a routine gynaecological operation in March 2011. The Sims Speculum, a surgical instrument, had fallen onto a sterile drape, was picked up and re-used by the surgeon. There was no harm whatsoever to the patient as a result of this action. Re-use of a speculum in such situations had been fully exonerated by an independent expert witness who also indicated that this occurs in his own routine clinical practice and is indeed consistent with the practice adopted at his teaching hospital. Nevertheless, on the basis of this single isolated episode, and in the context of an exemplary past record, Dr Bose was dismissed in September 2011 for alleged gross misconduct. Not long after Dr Bose was dismissed, Cambridge University Hospitals NHS Foundation Trust had the unenviable reputation of 8 clinical Never Events in one year (these are very serious adverse events that should never have happened and which endangered patient care), a rate many times higher than the national average. It seems that none of the staff involved in these serious events were suspended or even disciplined, in sharp contrast to what happened in the case of Dr Bose, where no harm whatsoever came to the patient, and also in contrast to what happened to the two other Indian consultants who had been sacked before Dr Bose. When Dr Bose’s case was referred to the General Medical Council, it was thrown out, with no case to answer, again pointing to the unfairness of the decision to dismiss him from his post. When he found out that he had been cleared by the General Medical Council, Dr Bose commented, I have always maintained that my actions in this case posed no risk to patient safety and I am pleased the GMC case has been dropped with no finding against me. I believe that it speaks for itself that during the hearing no evidence was brought against me. This case has been extremely distressing for me and my family – not only have I been sacked from my job, but my future career and livelihood were on the line. After his dismissal, Dr Bose had to move home and live with his parents, causing disruption and distress to his wife, his children and his parents. An employment tribunal hearing had been set to take place in September 2013, where allegations of racial discrimination would have been made. However, Dr Bose eventually agreed an out-of-court settlement with Cambridge University Hospitals NHS Foundation Trust (‘Addenbrooke’s Hospital’), which included a substantive sum of compensation. Dr Bose was able to secure a locum consultant post at a major teaching hospital in London, and he later secured a substantive consultant post in Berkshire, a testimony to the fact that he had excellent clinical skills and that his dismissal was totally unwarranted and unfair.